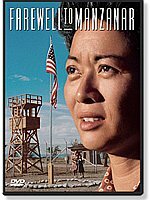 The Japanese American National Museum announced that it has obtained the licensing rights through the NBCUniversal Television Consumer Products Group to the classic made-for-TV 1976 movie, "Farewell to Manzanar," and has produced DVD copies for sale this fall for the first time ever. Based on the autobiographical book, Farewell to Manzanar by Jeanne Wakatsuki Houston and James Houston, the film is a rare Hollywood production that features Japanese Americans and Japanese as the principal actors as well as in key behind-the-camera positions such as screenwriter, composer, cinematographer and other jobs. Directed by John Korty, the movie follows the story of a Japanese American family whose lives are overturned during World War II because of the U.S. government’s unthinkable actions that forced them to leave their home and business to be incarcerated in a domestic concentration camp. Thousands of people of Japanese ancestry suffered similar fates for which the U.S. government eventually officially apologized and provided reparations to the survivors beginning in 1988. The movie starred Yuki Shimoda and Nobu McCarthy as the parents and included Mako, Pat Morita, Clyde Kusatsu, James Saito, Momo Yashima and Akemi Kikumura (the National Museum’s former CEO), among others. Dozens of Japanese American community members appeared as extras. Korty also hired Hiro Narita to be his cinematographer, Paul Chihara to write the musical score, Richard Hashimoto to work as assistant director, and Robert Kinoshita to handle production design. Korty, whom film historian Leonard Maltin described as "a principled filmmaker who has worked both outside and within the mainstream, attempting to find projects that support his humanistic beliefs," had made documentaries and feature films before taking on "Farewell to Manzanar." Filmed on location at the Tule Lake and Manzanar campsites, the movie was nominated for two Emmy Awards and won a Humanitas Prize and a Christopher Award. After its initial 1976 broadcast, the movie has been seen only sporadically in 35 years. A California Civil Liberties Public Education Program (CCLPEP) grant enabled VHS copies of the film to be distributed by California Lt. Governor Cruz Bustamante’s office to school districts around the state in 2003, but it has never been available to consumers. Maria Kwong, Director of Retail & Visitor Services for the Museum, noted that it was the Museum Store’s most requested item that could not be fulfilled. Kwong did her own research and discovered that NBCUniversal retained the rights to film, but had never brought it to market. NBCUniversal suggested that the Museum could license the film for distribution. The Museum applied for and received a grant from CCLPEP to help facilitate the licensing process. The Museum and Museum Trustee Wendy Shiba then negotiated a five-year licensing contract for the Museum to produce and sell the movie as a DVD. Wakatsuki Houston wrote the book after her nephew asked her about Manzanar, where he was born. Having not thought about camp since the war when she was a young girl, Wakatsuki Houston had an emotional breakdown and then promised to write everything down. She turned to her husband James, who had never heard this story either, for help and the result was Farewell to Manzanar, which was published in 1973. The success of Korty’s made-for-TV film, "The Autobiography of Miss Jane Pittman" (1974), provided the director with many opportunities for new projects. According to Korty, the Houstons approached him about turning their book into a film and after reading it, he agreed. Because "Miss Jane Pittman" was both a commercial and critical success, it enabled Korty to do the adaptation in the manner he thought appropriate. Besides the original film, the DVD contains an excerpt of a video interview with Jeanne Houston, where she relates how she came to write the book. She also comments on the Houstons’ collaboration with Korty in the making of the film. The DVD also features the documentary, "Remembering Manzanar," created for use at the Interpretive Center of the Manzanar National Historic Site by the National Park Service. The documentary highlights the first-person recollections of former inmates. "Farewell to Manzanar" will be available for sale for $24.95. (National Museum members will receive their member discount for this item.) The DVDs can be purchased through the Museum Store on site or by calling (888) 769-5559, and through its web site at janmstore.com. For more information, call the Japanese American National Museum at (213) 625-0414. NBCUniversal is a leader in providing entertainment programming to the domestic and international marketplaces. NBCUniversal Television Consumer Products Group manages all global ancillary television business endeavors for the NBCUniversal Television Group, including third-party home entertainment distribution, consumer products, musical soundtracks, special markets projects and the NBCUniversal Online Store. For the latest product updates and an overview of the properties managed by the group, visit the NBCUniversal Television Consumer Products portal at http://nbcuconsumerproducts.com.